The Better Than Podcast is better than every other petty, pedantic podcast out there. Each week, Krista Jensen along with Sean O'Reilly and a special guest will create a panel to discuss 4 listener-submitted opinions (in the form of "___ is better than ___"). Each episode ends with a unanimous "correct" opinion as the panel provides the final say on what is Better Than what. Better Than is recorded in Garden Studios in Astoria, New York. 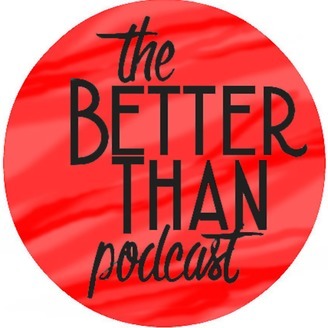 Tweet at @betterthanpod to submit your thoughts for discussion and to find out if your opinions are good/great/bad/dumb. The Better Than Podcast is better than every other petty, pedantic podcast out there. Each week, Krista Jensen along with Sean O'Reilly and a special guest will create a panel to discuss 4 listener-submitted opinions (in the form of "___ is better than ___"). Each episode ends with a unanimous "correct" opinion as the panel provides the final say on what is Better Than what. Better Than is recorded in Garden Studios in Astoria, New York. 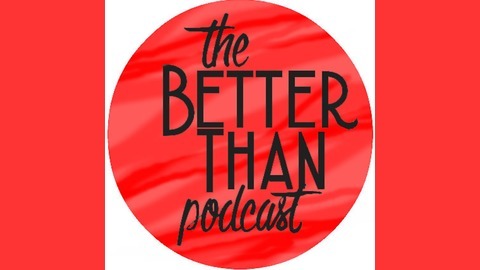 Tweet @betterthanpod to submit your thoughts for discussion and to find out if your opinions are good/great/bad/dumb. Episode 33 - Liam O'Reilly Returns!